How do I approve or change a pending PTO request on my dashboard? 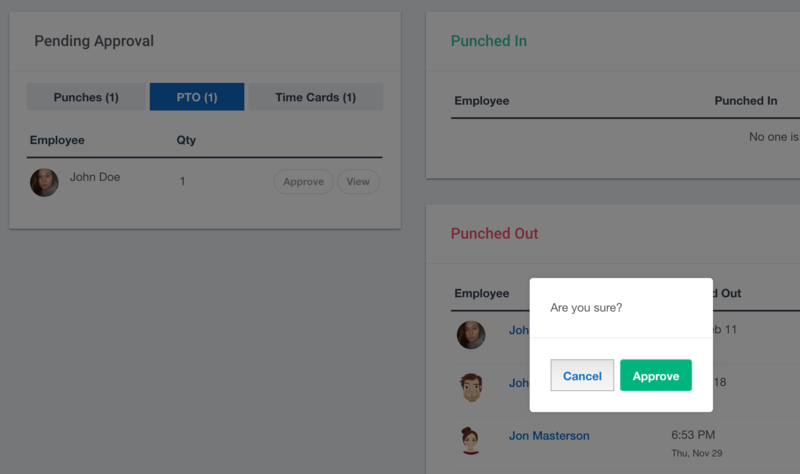 Both administrators and manager's will see PTO on their dashboard that they can act on. 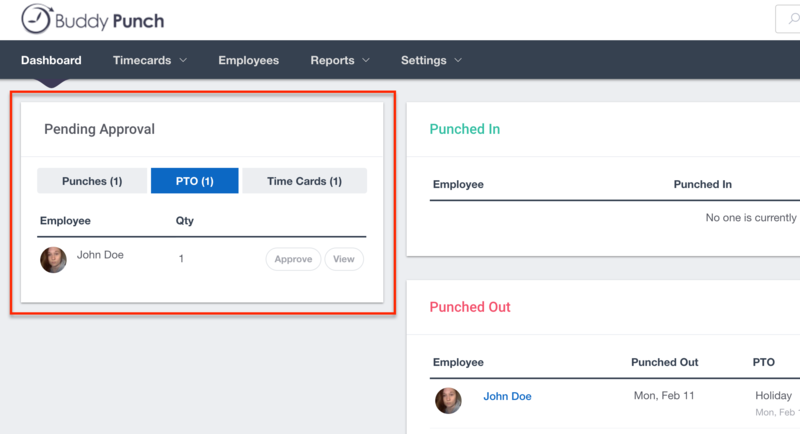 If your employee's require approval for PTO requests, as an Administrator or as a Manager (who has 'Approval' access to an employee) will see a PTO Pending area on their dashboard. This area will not show on your dashboard if you do not have any PTO that needs your approval. 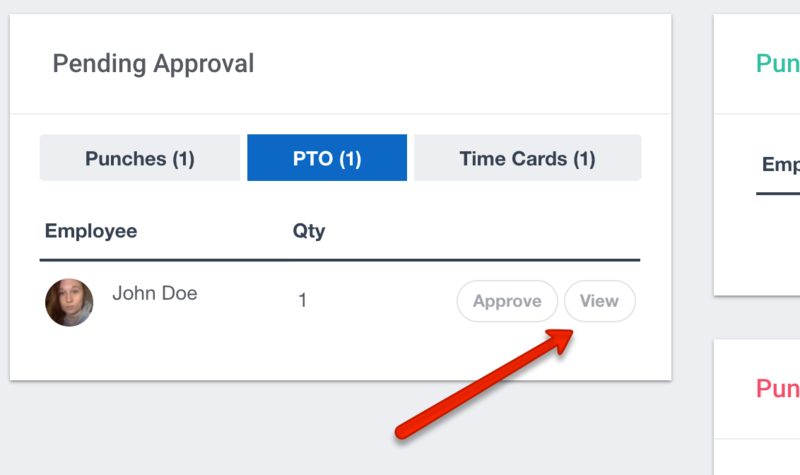 By clicking "Approve" the requests will be approved on the time card. And you can then make changes. Notice how changing the type or hours in the edit area will change the button from an "Approve" to a "Save."